Gloria Ferrer provided champagne and entertaining essentials for my review. As always, all opinions are my own. 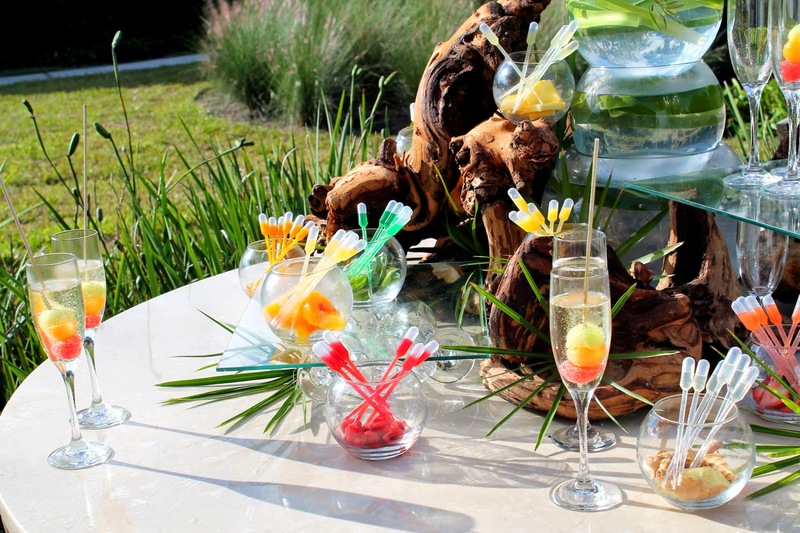 In October of 2013, I had the opportunity to go on a press trip to Omni Amelia Island and was introduced to the concept of Champagne bars. This is where you give your guests various mixers to bring out the flavor of champagne. It was brilliant and my bridesmaids even used this as an idea for my bridal shower in May! 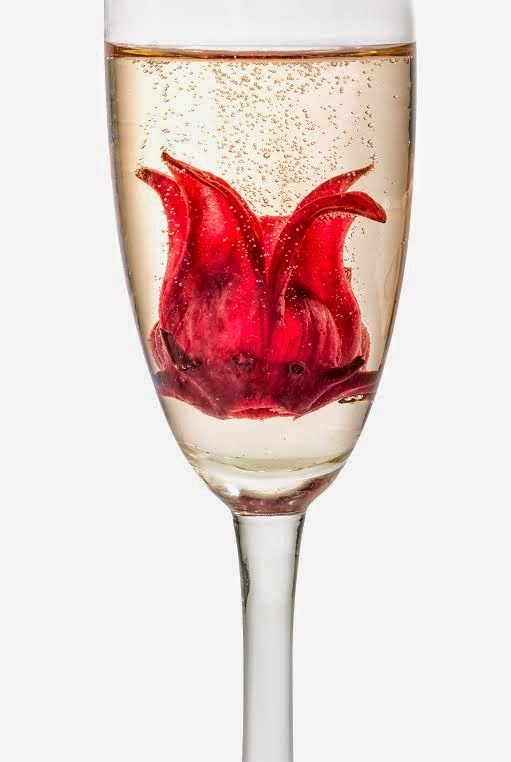 This had me thinking of fun champagne cocktails to offer guests on New Years Eve this year. Champagne/Sparkling wine is my favorite holiday cocktail and I drink my fair share of it in the month of December. I was very fortunate that Gloria Ferrer sent me a few bottles of bubbly for holiday entertaining. 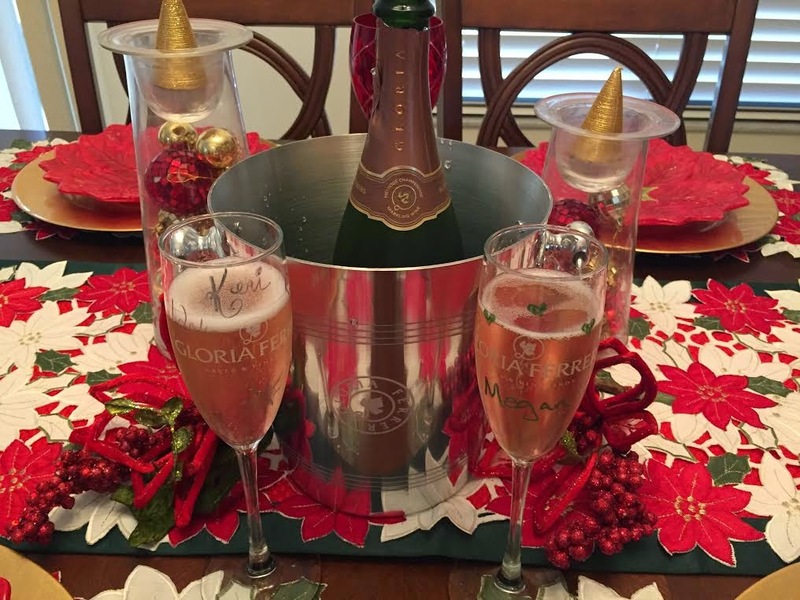 We drank Gloria Ferrer Blanc De Noirs on Thanksgiving and it paired excellent with our Turkey and ham dinner. Blanc De Norris is made with 92% Pinot Noir and 8% Chardonnay so it's of no surprise that this is my favorite go-to sparkling wine. 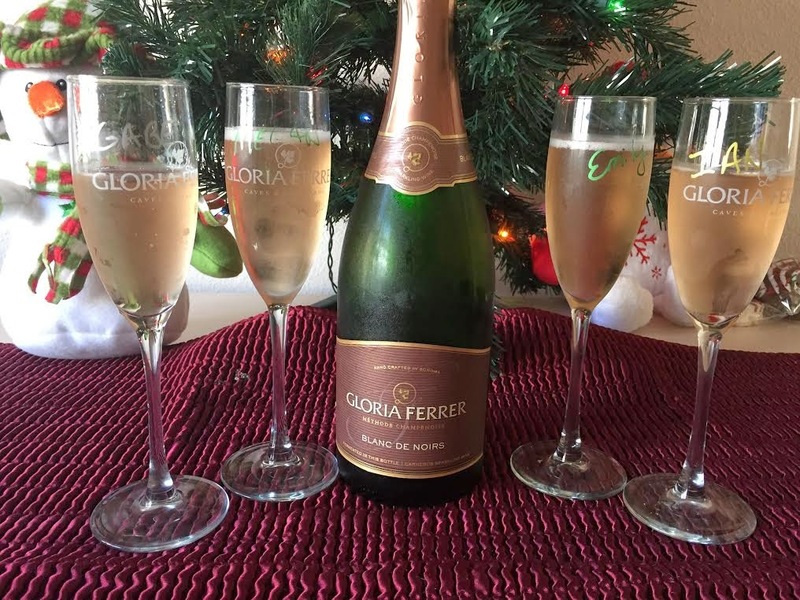 Gloria Ferrer has an amazing lineup of sparkling wines perfect for any holiday dinner, brunch or party. Royal Cuvee $37 - Pairs well with everything! This is my favorite cocktail to serve. It's beautiful, is a conversation starter and is elegant. I first learned about this drink in 2012 at David Burke's Townhouse, NYC (don't judge me on those photos...it's amazing to look back at how awful cell phone photos were back then - which you know we will be saying again in 2 years)! The hibiscus flowers are edible and come in syrup, usually found in specialty food sections. I used Gloria Ferrer 2006 Royal Cuvee to make this cocktail with and it was hands down the hit of the holidays. The great thing about the Royal Cuvee is that it is a versatile and pairs well with everything. Regardless if you are having the feast of seven fishes, a standing rib roast or even turkey for the holiday's, this is the sparkling wine to use.